Plenty Pros still surfin’ ’round the NS. This time with some other G-Narly Dudes. Today’s pros are acutely aware of how good they have it. While career pressures and risks can be high, nothing puts their good fortune into perspective like a day of swapping stories with the Army’s 25th Infantry Division based on Oahu’s North Shore. 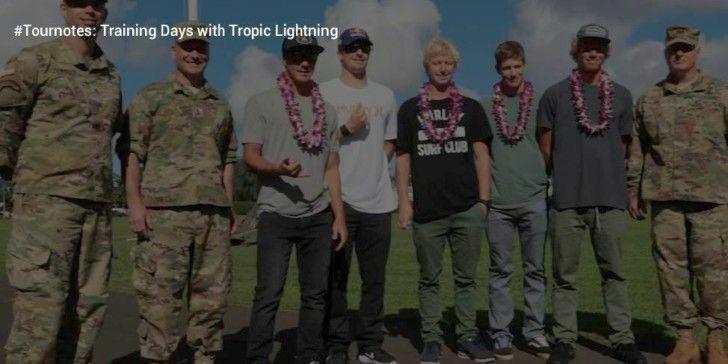 After this year’s Triple Crown a crew of pros did some fun cross-training with the boys of Tropic Lightning. As usual, it was an enlightening experience for all sides.